Kitchens are a key interior space. With the selection of appliances becoming as important as choice of tiles, cabinets and lighting design, PHPD discusses the current trends with Gabriella Fryer, Head of Marketing at Montpellier, and discovers more about this relatively new entrant to the sector. Q. What are the latest trends in the kitchen? The way we select a kitchen for our homes has evolved over recent years. With so much choice now in the market in terms of kitchen styling, the modern-day homeowner is far more savvy and aware when it comes to what they choose front of house, and behind the door. Choosing appliances is fast becoming as big a part of the design process as choosing cabinet, tile, and lighting designs. For many, appliances such as fridge freezers and wine coolers will remain freestanding. With that, there is a demand for statement pieces that seamlessly blend into the design of the kitchen and add that ‘wow’ factor. 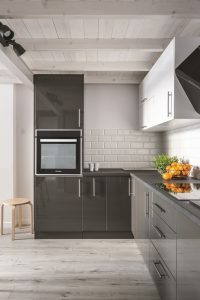 Appliances are now required to not only offer years of reliable functionality, but also be a stylish and timeless part of the kitchen design as a whole. 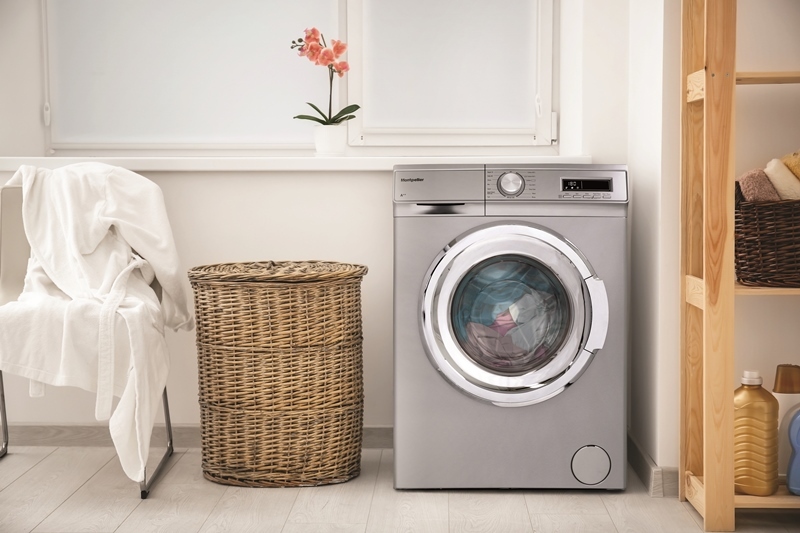 We know that brilliant functionality, durability and reliability are an expectation from appliances. That’s a given. Our appliances, whether integrated or freestanding, see style and design as being as important as function. 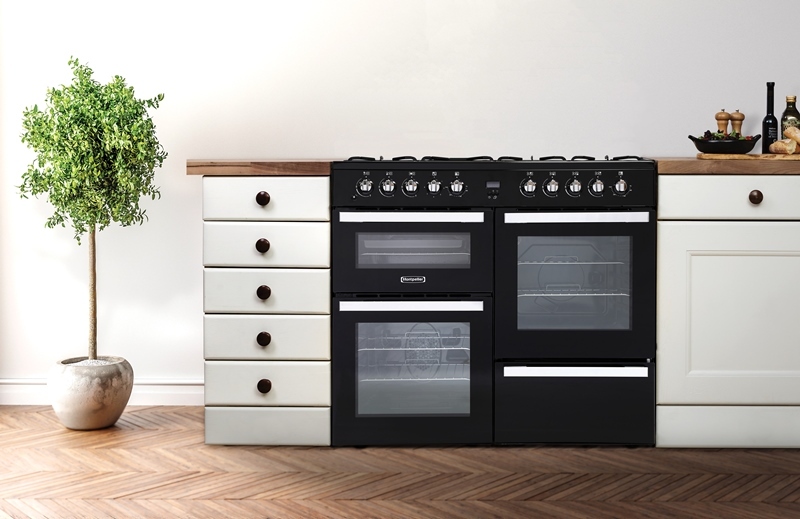 With a range of over 220 products, we have an appliance to suit every kitchen, style and budget. Q. With only a little over five years of operation in the UK, Montpellier may be an unfamiliar name for UK housebuilders. Why did the company launch into the appliance market in the UK? Montpellier was formed in 2012 after we saw a need in the market for stylish, functional appliances at an economical price. In our infancy, we were often told that there wasn’t room in the market for another white goods brand, that customers knew the brands they liked and didn’t want anything new. Always keen for a challenge, we quietly carried on expanding our range and building relationships with retailers. We formed a solid and loyal customer base and invested our time in supporting independent retailers to promote our products. Those retailers have helped to educate the market and make consumers aware of who we are. With this solid foundation, we have grown and expanded into national retailers and have secured ourselves as a credible, reputable and desirable appliance brand. Our products are now displayed side-by-side on shop floors alongside established brands and have earnt their place there. It is a crowded marketplace; there are a lot of brands offering a lot of choice for consumers. But we know that consumers want choice. They want a choice of style, size, and features. We are here to give consumers another choice, one which isn’t always decided by price. We don’t let style be compromised by budget. We are committed to continuing to provide consumers with quality products that make life not only easier, but better. Style and technological innovation is at the forefront of everything we do and we will continue to evolve to create the best possible products that not only grow with technology, but also with the user. Q. What types of appliances are available? With over 220 products in the current range, we have an appliance for every home, person and style. 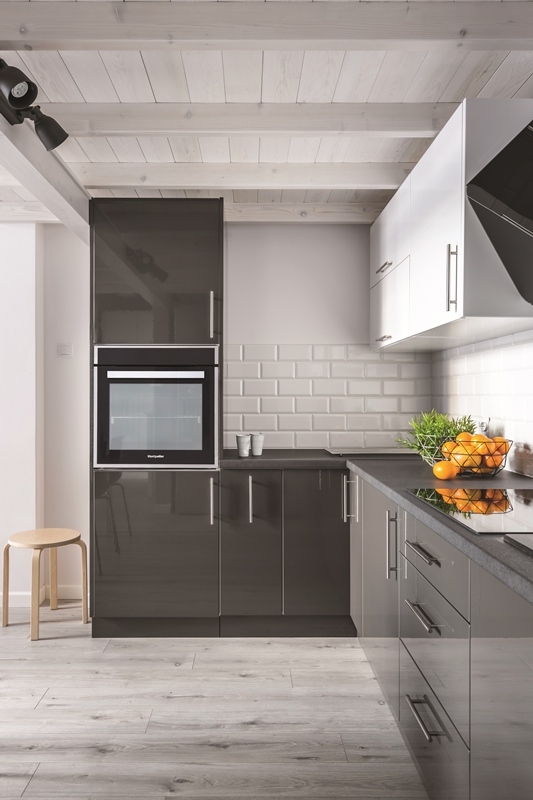 There’s a wealth of appliances for both freestanding and integrated settings and we cover all product ranges; laundry, dishwashing, cooking, cooling, hot taps and accessories – from entry appliances ideal for a first home to statement freestanding pieces for the more established setting. Q. Does the design of your appliances place more emphasis on functionality or style? We design products to offer the perfect balance of function and style. Function means more than just working when you turn it on. It means doing exactly what they need to do, and doing it brilliantly, time after time. Full of innovative technology all of which is usable and meaningful, our products offer everything you need, and nothing you don’t. We don’t think that style should be compromised by budget. We create stylish products that are accessible to all and offer years of reliability. Q. New-build properties often feature integrated appliances. What are the features of Montpellier’s integrated offerings? We have seen the rise in built-in appliances go from strength to strength. 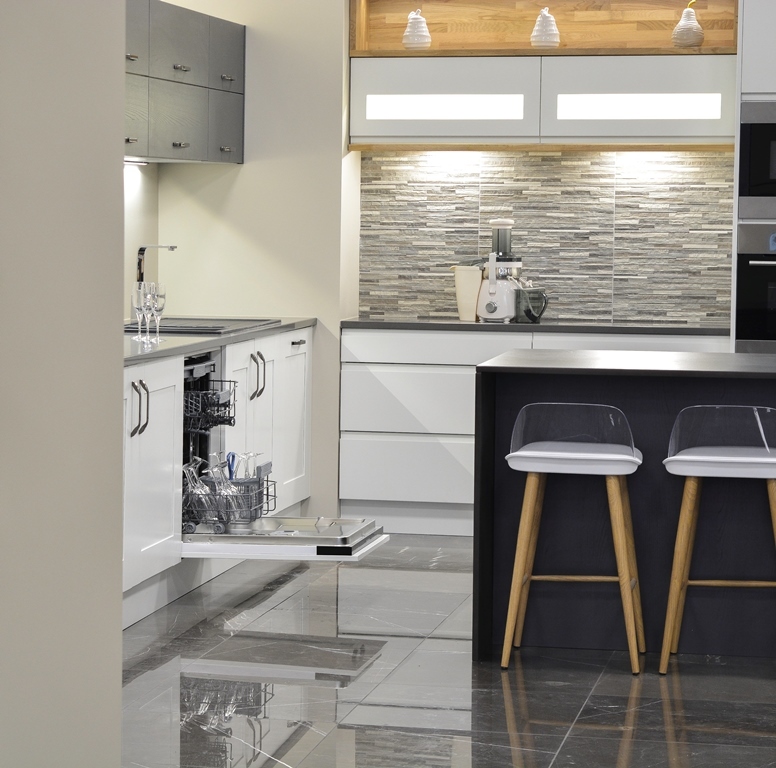 With kitchens designed to flow, other appliances such as dishwashers and ovens can often be seen to break that up and so integrated appliances are the perfect choice. At Montpellier, we include all of this knowledge in our design process. That’s why our integrated appliances not only offer reliability and durability, but take into account the need for style, even behind the door. We offer built-in refrigerators that have chrome shelf trims, soft LED fading lighting as well as all of the technology you would expect and exceptional energy efficiency. Integrated dishwashers offer adjustable racking, a variety of programs and many have InfoLED that shines a light onto your worktop to show you the status of the cycle during the wash. Ovens all come with TruFan technology and some models have built-in auto-cook recipes and programmes. Q. Can a housebuilder buy directly from the company? Yes. It takes less than 10 minutes to complete the application for an account with us and once open, you will have access to the full range of 220 SKUs. You’ll be able to order online, in person or via phone and email making it faster and easier than ever to get the products you need. Our website offers exploded diagrams for all products so that you can easily choose the perfect appliance for the home and fit it swiftly and correctly. You can apply for an account by visiting our website or call our team for more information. Q. What level of warranties and customer support does the company offer? We are a relatively new brand in the eyes of the consumer and so a guarantee that offers peace of mind is all part of the offering. We offer two-year guarantees across all of our products and five years on built-in refrigeration. Some may say that a two-year guarantee is basic and standard. But a truly great and effective guarantee goes beyond just offering a replacement or refund. A great guarantee can counter potential objections, reduce buyer risk, dissolve disbelief, and instil buyer confidence and trust in a company. In today’s busy world, we want our appliance owners to be able to simply fit and forget. Our guarantees are there to instil that confidence, and should you need us in the rare case of a problem, we will be there.